Like so many acts, their first hit is not always necessarily where their career began. That is certainly the case for this week’s choice. 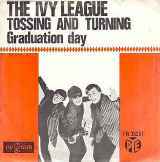 The Ivy League first popped up in 1965 with Funny How Can Be, but the men behind it were very around the record business long before that. The two men in question are the Birmingham-born John Carter and Ken Lewis. They began writing songs together and submitting them to various publishing companies, they travelled to London and got themselves a manager, Terry Kennedy who realised their potential and suggested they form a band and record their own songs rather than give them to other people. So in 1961 they formed Carter Lewis and the Southerners and released a number of singles, some of which featured a young Jimmy Page on guitar, which were extensively played on the BBC Light Programme, particularly Saturday Club. John Carter, who was born John Shakespeare in 1942 and Ken Carter who came into the world as Kenneth Hawker were the primary song writers many of which they wrote for other acts. Their first hit, as songwriters, came in 1963 when That’s What I Want by the Marauders just scraped into the top 50. The following year The Fourmost’s How Can I Tell Her got to number 33 and then a month later Brenda Lee cracked the top 20 with Is It True? Vocally they were first heard as the high-voiced backing singers on The Who’s 1964 hit I Can’t Explain. In 1964, Carter and Lewis broke up the southerners invited studio engineer Perry Ford and formed the Ivy League and within a few months they had their first hit with Funny How Love Can Be which reached number eight and had been recorded by the Rockin’ Berries previously, but never issued. The following year they charted two songs, the number 22 peak of That’s Why I’m Crying and, this week’s suggestion, Tossing And Turning, a simple love song about a woman who has left and the subject has many restless nights now that she is not there anymore. It reached number three. In 1967 they left to form The Flowerpot Men and had a worldwide hit with Let’s Go to San Francisco with session singer Tony Burrows on lead vocals. John realised that he preferred to write hits for other people and combined with getting bored of touring he left the band to concentrate on writing. He teamed up with another British songwriter, Geoff Stephens and together they wrote Semi-Detached Suburban Mr James for Manfred Mann. The same year Carter recorded a demo for Stephens’ outfit, The New Vaudeville Band. That demo was Winchester Cathedral which was a novelty song based on the 1920s vaudeville style particularly Rudy Valee. He cupped his hands round a microphone to sound like a megaphone and Stephens loved it so much he kept it as the finished article. It was released and became their debut single peaking at number four. 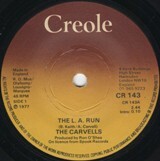 Four months later Carter and Stephens penned the follow-up Peek-A-Boo and that reached number seven. Between them, the pair wrote three hits for Herman’s Hermits in the late sixties and in 1970 wrote Knock, Knock Who’s There? which was the British entry into the Eurovision song contest as sung by Mary Hopkin which came runner up in the chart as well as the contest. Between 1970 and 1974 Carter released a few songs under various guises including Chelsea under the name Stamford Bridge which was co-written by Ken Lewis and a wonderful track called Dreams Are Ten a Penny under the name Kincade which sadly missed the chart. He later turned his hand to writing television advert jingles including Rowntree sweet and Butlins holiday camp the latter being so catchy and popular that it was released as a single called The Sound of Summer by Starbreaker. As for Ken Lewis suffered from depression and quit the music business in 1971 and moved to Tyneside. In the nineties he moved to Cambridgeshire but suffered from diabetes and died in a nursing home in August 2015. John was on the board of the British Academy of Composers and Songwriters and a member of the Performing Rights Society. These days he and his wife run their own publishing company and record production company which promotes his entire back-catalogue. There is an old saying which is actions speak louder than words and invariably someone’s body language will give more away than any words could ever do. Very often silence allows you to convey all that you need and want to say and that’s exactly what makes this week’s suggestion resonant with so many people. When you Say Nothing At All was written in 1988 by two experienced country songwriters Paul Overstreet and Don Schlitz, Paul’s big song was Love Can Build a Bridge as originally recorded by the family group The Judds and covered for a UK number one by Cher, Chrissie Hynde, Neneh Cherry and Eric Clapton, Don has written dozens of songs which were huge on the American country music scene, but his best known in the UK was Kenny Rogers’ The Gambler. The pair had success in the UK with Forever and Ever, Amen which became a hit for Randy Travis. They wrote the song there and then and although the sentiment was right, they were not overly impressed and thought it was just OK. In all the anguish and heartbreak he could feel there was some magic in the song and so stuck with it. All they needed was someone to record it. 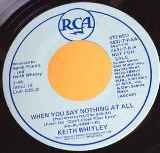 He had the potential to be a really major country star but unfortunately, Keith Whitley did not have as much confidence in himself and had turned to drink but no one quite knew why. His closest friends knew he was a binge-drinker but outside of that group, few other’s knew and he preferred to drink in private. Following his stint of number ones his drink habit seemed to diminish, but on 8th May 1989 Keith spent the night on his own as his wife, Lorrie, was on the road with her own band, and he began drinking heavily but this time went too far. He died just after midnight of alcohol poisoning, it was later discovered that he was five times over the state limit and just about twice the lethal limit for a human body. He was just 33. Keith’s third country number one, I’m No Stranger to the Rain, won the CMA award for Single of the Year and Lorrie was there to accept the award in his memory. The song was successfully revived in 1995 by Alison Krauss & Union Station when it make number three on the US Country chart and went on to win the CMA Single of the Year. Screenwriter Richard Curtis was always keen to find the right songs to include in his films. Wet Wet Wet’s revival of Love Is All Around was integral to Four Weddings and a Funeral, and for the new Hugh Grant and Julia Roberts film, Notting Hill, he wanted the key song to be When You Say Nothing At All. He suggested it to Ronan Keating from Boyzone, who said, “As soon as he mentioned the title, I was hooked.” Ronan’s version lacked the soul and warmth of the original but at least he did bring a brilliant, and, then, a fairly obscure song in the UK, to the British public’s attention. Back in the 1970s, the daytime DJs on Radio One used to pick a record of the week, this was purely the DJ choice, not the producer, of a song they particularly liked and hoped would get into the chart. The chosen song would get a guaranteed play on that particular presenter’s show every day from Monday to Friday. Some DJs used to pick quite obvious material that was likely to get into the chart anyway, but the more musical aware DJs like Mike Read, David ‘Kid’ Jensen and DLT would find the time to listen to a batch of new releases and often chose something a little more obscure. This week’s choice was a former Mike Read record of the week, just before he began presenting the breakfast show. This was the first time I heard this song and loved it straight away. 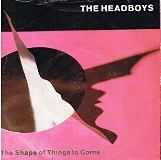 The song is The Shape of Things to Come by Scotland’s Headboys. The original line-up comprised, singer and guitarist Lou Lewis, bass player George Boyter, Calum Malcolm on keyboards and Davy Ross on drums, Lou and George had been working with some other musicians playing songs that Lou and George had written. 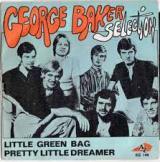 They didn’t have a record label deal but Lou believed in their songs and so went searching, “George and I had gone to London and had a meeting with EMI publishing,” Lou explained to Lorraine Wilson, “They said they liked the band but couldn’t really see anything they could use. We asked if we could come back in a couple days and he agreed. I bought a £10 guitar, we locked ourselves away for a couple of days and emerged with some new songs to take back to the next meeting. Malcolm had just created Castlesound Studios in Edinburgh and so they recorded some demos which were sent out for publishing of which MCA records agreed to sign them, but the one thing they didn’t have was a name, so they called themselves Badger. 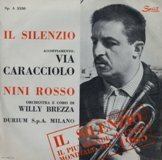 Unfortunately the music the label wanted from the band was not what they were prepared to do, so they returned the advance they were given and walked away and dropped the name. Lou said, “It was time to write as a band and not for publishing people. I had been going to the 100 club when I was in London and watching some punk and new wave bands and loved what I heard.” In 1978, they added saxophone player Bobby Heatlie to the line-up and recorded some more demos. “EMI showed interest again and because they had new younger employee they began to distribute our tapes to various A&R men,” Lou continued. There was a bidding war between EMI and Robert Stigwood’s RSO label and, as Lou recapped, “to be honest, we looked at both labels and thought RSO might be more fun and so we were signed by them for £100,000,” but, once again, they had no name. Next came a change of image, “I got a severe haircut,” said Lou, “then went to a school wear shop to buy a school shirt, tie and blazer. I then went to the Army and Navy store in Union Street because they sold enamel badgers. I bought one for Calum which said ‘Head Girl’ and that’s how were became the Headboys. They went out on tour supporting Wishbone Ash and even did a gig with a newly-formed Irish band called U2. They recorded one self-titled album which went un-noticed but in 2013 it transpired that they had actually recorded a second album which remained unreleased but was eventually that year under the title The Lost Album which had 10 tracks and came with a 34 page booklet telling the whole Headboys story and was dedicated to the memory of Ross, their drummer who passed away in November 2010. Malcolm continued with his studio and worked with the Blue Nile and Prefab Sprout, he sold it in 1998 but is still in the music business. George turned to art and has enjoyed an award-winning career as a creative director in advertising in London and now lives in Oxfordshire. As for Heatlie, he went on write Aneka’s 1981 chart topper Japanese Boy and four hits for Shakin’ Stevens including the seasonal Merry Christmas Everyone which annually brings him a handsome income.